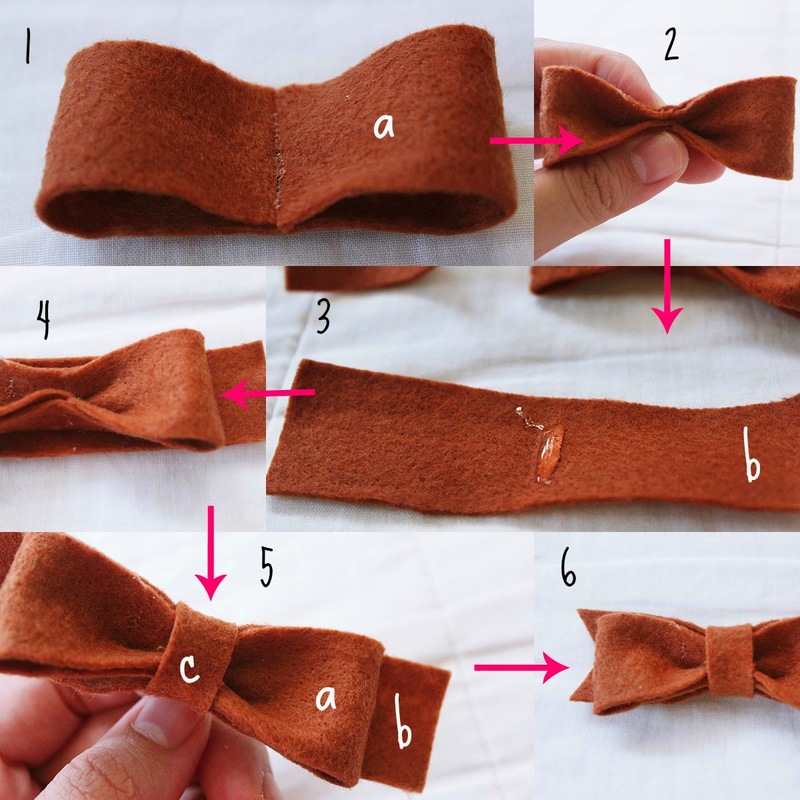 I would like to share with you a super quick tutorial for felt bow. This are fun and fast to make; it should take you less than 10 minutes. I promise you no sewing required and it costs almost next to nothing! 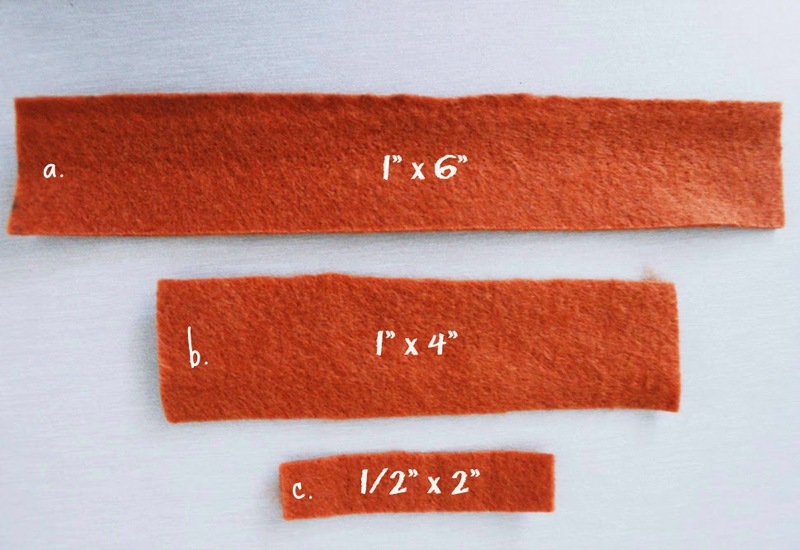 To start, cut out 3 felts (a, b & c). All measurements above are in inches. 1. Take the longest piece (a) and fold both ends in to meet in the middle, bumping heads with one another. Hot glue in place. 2. To get the cute little bow dimples - put a dap of glue in the centre, and pinch it in the middle. Hold for 10 seconds to make sure it sticks. 3. Take the middle piece (b) and put some glue on the centre of it. 4. Lay piece (a) in the middle and on top of (b). Attach them together. 5. Wrap the shortest strip (c) around and glue. 6. Cut ends to point. [Optional] Hot glue a metal clip underneath at the back of the bow, or simply loop in a pin for brooch and you're finished! I also made them in mini size. I think they look good to wear with hijabs. 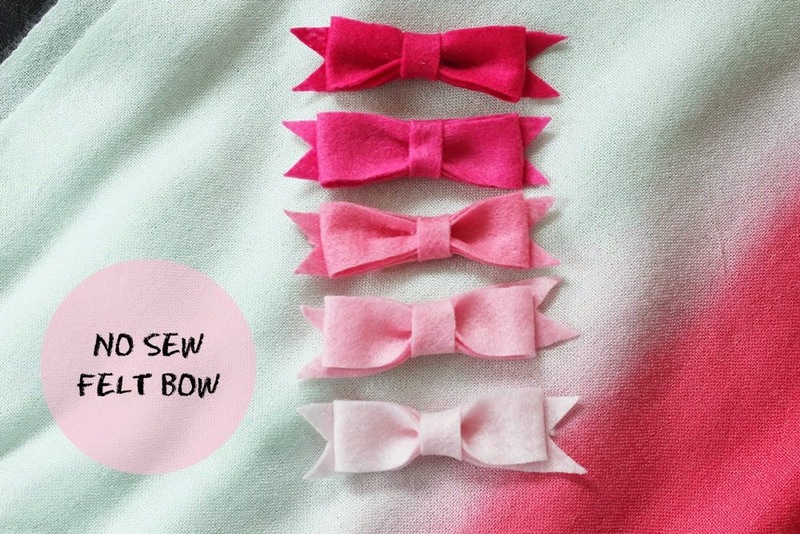 I love little felt bows! Although I just have brown and pink with me, I think they are adorable in every colour. I don't think I could just pick one! Also, I thought of adding some lace in the middle but I couldn't find any nearby me at the moment. Hehe. If I ever have a baby girl I'm in big trouble! lol.